Today’s post is a simple strategy for you to build muscle through optimising your immediate pre and post workout nutrition strategies. This is not to be seen as a replacement to a balanced and targeted nutrition approach, but to simply complement it and ensure you get the most from your workouts. So initially we have the pre-workout. When purchased, the pre workout will often consist of all sorts of weird and wonderful concoctions, but mainly a crazy amount of sugar, taurine and caffeine. I’ll try and keep it pretty basic here with my suggestions though and avoid loading you up with lab synthesised nutrients and other substances. The focus of the recommendations in this post are primarily in regards to building muscle. However, if you’re planning a particularly long, high-intensity workout with other outcomes to just building muscle, or you are low on fuel and/or you needed a pick me up prior to your exercise, I would advise the addition of a ripe banana and a coffee. These two options will give a spike in energy from the fructose, (sugar), in the banana and caffeine in the coffee. The banana will also add to your stored carbohydrate,(glycogen), and the caffeine can buffer some of the fatigue caused from exercise. If you’re already fuelled and watching out for additional calories, then look to have a pre work out shake that consists of whey protein isolate. Whey protein isolate uses additional processing steps to reduce the fat and carbohydrate content of whey, which is usually around 80% protein and 20% carbohydrates and fats. These steps result also in a higher protein content of around 90%, and sometimes more. The purpose of consuming the whey isolate pre workout is to avoid any muscle breakdown during the workout and support the accessing of fatty acids for fuel, as opposed to adding additional carbohydrates. Mix your whey protein isolate with a low fat milk or water. Ok, now post workout. There are mixed opinions about the necessity of having that post workout within the “anabolic window” – the 30 minutes straight after your workout. Now unless you are an elite athlete, this will not have a hugely significant impact, as long as the rest of your nutrition (and specifically protein intake) is on point. However, if wanting to maximise your recovery in preparation for another workout later that day, and (especially in context of this post), build muscle, get a shake in you between 15 and 30 minutes post workout. Now, to the content of that post workout shake. I advocate a food first approach and this includes the content of your shake. You need some quick absorbing carbohydrates first and foremost. Try grinding Jasmin rice & blueberries in a coffee grinder, (if time allows make the rice pre soaked). Combine this to a fast absorbing protein such as whey or pea protein. Both will help with muscle repair and synthesis. Whey isolate or concentrate are equally good as the types of amino acids found in both forms of whey are virtually identical. Upon finishing the workout, add the preprepared rice & blueberries to either coconut water or beetroot juice. Coconut water is a good choice due to some simple sugars and potassium content. Beetroot is a good choice as it’s what’s called a vasodilator. This is something that improves blood flow around the body thus supporting recovery. In regards to amount of rice, for someone weighing 77kg /170 pounds , use 1/2 to 3/4 cup post workout, adjust this a little up and down to meet your specific weight needs. Use just a handful of blueberries as a high level of antioxidants post exercise have been seen to inhibit adaptation. Following your post workout, aim to have a balanced meal around 45 minutes later. Ok, I hope this has given you some idea and a helpful template to start optimising your pre and post workout regime to build muscle. Till next time. Welcome back to the Snack Hack series. These posts aim to bring some easy and actionable tips and tricks into your everyday life. Today’s hack is a nice, simple and memorable one. It’s a memory technique you can implement from everything from your shopping list to a meeting at work, it’s all just dependant on your creativity. This technique is called the Ribbing’s bike and comes via memory big gun Mattias Ribbing. The idea is to picture a bike. Any bike. Make it a memorable one though. Now enlarge it in your head and imagine it as big as an SUV, standing in front of you. Think of 10 tasks you need to remember, things like picking up a file from work, dropping off your dry-cleaning, resoling your winter boots, picking up the food shopping, whatever. For each task, take the first image that comes to mind (a pair of boots, a bag of food shopping, suits on a rack, whatever), enlarge it and hold onto it. Then you’ll begin putting each object on a different part of the bike, mentally connecting the two, so something like “front tire” is synonymous with food shopping. When you visualise a bike, you place an image on the front tire, then move slowly back to the spokes, then to the hub in the center of the wheel. The technique plays on the power of having a visual association to whatever you’re trying to remember. Ok, hope this is something that may come in handy. In an age where we rely so heavily on our phones for information, it pays to be able to rely on our most secure and reliable piece of tech; the one in your head. Welcome back to the What the Experts Say series. These short sharp nuggets of wisdom are bought via some of the leading lights in the health and wellness space. They’re not loaded with the research and technical knowledge that backs their presenters so please go dig deeper if you wish! Ok, without further ado. Today’s topic is longevity. Here are 3 tip bits to how to measure and improve your health span. First up we have Dr Kate Shanihan. Kate’s fantastic in-depth read ‘Deep Nutrition’ is a thorough exploration on the modern diet’s impact on health and well-being. She noted on the Primal Blueprint podcast that connective tissue is the biggest determining factor to quality of life as you age as it literally holds you together! Want to improve yours? Meat on the bone and bone broth. Next up we have Dominic D’ Agostino, the keto king pin from most famously Tim Ferris’s and Joe Rogan’s podcasts. Dom stated blood glucose monitoring is the best health bio marker we have. In order to track it, test fasting and postprandial blood sugar markers. Doing this will predict how well functioning your metabolism really is. Lastly, Mr Mike T Nelson. Mike is the man when it comes to metabolic flexibility and I’d recommend having a read of this previous post I did about his advice on a fasting with an exercise routine https://whatsuppblogblog.com/2018/12/07/dr-mike-t-nelsons-carbohydrate-cycling-exercise-plan-for-health-fitness-wellbeing/ . Mike highlights the following markers of longevity – 1. lower body strength; 2. grip strength; 3. VO2 max. So with that in mind get your squat on, fingers gripping and feet sprinting. Alrighty, hope there was some takeaways. Please drop me a comment and a like! Till next time. Welcome back to the What Supp Blog. Today’s post is about how to get sh*t sorted and prioritise. With this in mind, I’ll introduce you to the Eisenhower Matrix. The Esinhower Matrix is a method used by a former American president Dwight D. Eisenhower. Eisenhower was the 34th President of the United States from 1953 until 1961. Before becoming President, he served as a general in the United States Army and as the Allied Forces Supreme Commander during World War II. He also later became NATO’s first supreme commander. Needless to say he needed to make some pretty tough decisions. The first quadrant is called Do first as its tasks are important for your life and career, and need to be done today or tomorrow at the latest. You could use a timer to help you concentrate while trying to get as much of them done as possible. An example could be a work document, paying a bill or an unexpected crisis. The second quadrant is called Decide. These are for tasks to schedule and are important but less urgent. You should list tasks you need to put in your calendar here. An example of that could be a long-planned study or exercise program, family or friend commitments. Competent time managers leave fewer things unplanned and therefore try to manage most of their work in the second quadrant, reducing stress by terminating urgent and important to-dos to a reasonable date in the near future whenever a new task comes in. The third quadrant is for those tasks you could delegate as they are less important to you than others but still pretty urgent. You should keep track of delegated tasks by e-mail, telephone or within a meeting to check back on their progress later. An example of a delegated task could be somebody calling you to ask for an urgent favor or request that you step into a meeting. You could delegate this responsibility by suggesting a better person for the job or by giving the caller the necessary information to have them deal with the matter themselves. The fourth and last quadrant is called Don’t Do because it is there to help you sort out things you should not being doing at all. Use this quadrant to identify and stop bad habits, which cause you to procrastinate. These items are the ones which give you an excuse for not being able to deal with important tasks in the 1st and 2nd quadrant. Try limiting yourself to no more than eight tasks per quadrant. Before adding another one, complete the most important one first. Remember: It is not about collecting but finishing tasks. You should always maintain only one list for both professional and private tasks. That way you will never be able to complain about not having done anything for your family or yourself at the end of the day. Welcome back to the What Supp Blog! Today’s post is about why it’s so important to choose the right oils and fats for cooking. Some may (rightly) just think this comes down to the taste, unfortunately though it’s far more impactful on your health than just what it means for you taste buds. Many of the fats used in today’s cooking are vegetable and seed oils. These are often comprised of a number of highly processed polyunsaturated fats that are incredibly unstable when heated. The processing of these fats alone can impact your health negatively, but add to heat to the mix and you’re at a heady mixture of inflammation and free radical damage. These polyunsaturated fats are made up of both omega 3 and omega 6 fatty acids. The modern diet should be composed of a combination of both of these with an ideal ratio being anything from 4:1 to 1:1 of Omega 6 to 3. As already stated, these fats can be very unstable so getting them from natural sources such as oily fish for omega 3 and nuts & seeds for omega 6 is the preferred option. The ramping up of omega 6 oils in your diet can be completely unintentional and unavoidable, with them being used in so many foods from persavatives to dressings. In his excellent book Genius Foods, Max Lugrave explains that a healthy brain cell needs membrane fluidity to respond to the world around us. This happens through receptors which need to be able to surface and hear the messages contained by neuro transmitters. Omega 3 helps keep this pathway fluid. Unstable oxidised omega 6s however will cause neuro rigidity, which impairs the ability of the receptor to surface from the cell. In turn this all impacts the accessing of memories, excutive functioning and even mood. One interesting Australian study showed vegetable fats destroying endothelium function. The endothelium is a thin membrane that lines the inside of the heart and blood vessels. Endothelial cells release substances that control vascular relaxation and contraction as well as enzymes that control blood clotting, immune function and platelet (a colourless substance in the blood) adhesion. A cigarette can negatively impact this system for 4 hours. One box of deep fried fries (like the ones from you know where) was shown to suppress the endothelium for 24 hours! The effects of this already unstable polyunsaturated fats being heated can act to actually mutate your genes. When choosing a decent fat to cook with, a good rule thumb is opt for monounsaturated or saturated fats. What’s the really important bit though is where the smoke point is, as this is when the oil gets unstable and oxidation occurs. You might note I recommend refined rather than cold pressed coconut oil. Refined coconut oil has a smoking point of at least 204c/400f (some sources I’ve read say 232c/450f). This is an easier temperature to work with when cooking on the stove or baking at higher temperatures. Just be mindful of the product quality as the very cheapest will use bleaching and deodorising in the processing of it. The same can be noted for olive oil where I haven’t advised extra virgin olive oil. Extra virgin olive oil is essential in your diet for so many reasons but again, it’s smoke point is not as high as light or just olive oil. Similarly to coconut, don’t just buy the cheapest so to ensure some quality control. So, what is the king of the oils you may well ask. That be the mighty avocado oil. What it does have is the highest smoke point upward of many oils and is stable up to 260c/500f. Obviously this is a pretty expensive option and maybe best to leave specifically for those dishes you need to cook at a high heat. One easy and implementable action is simply ensure, wherever you can, you’re cooking your food at a low heat. Not only will this avoid the fat your using hitting it’s smoke point, but it’ll also ensure you don’t completely destroy the nutritional content of your food. Welcome back for some little short sharp snippets that are bought to you via some of the leading lights in the health and wellness space. Today’s post focuses on the power of the humble mushroom and is bought via mushroom extraordinaire and all round fungi (sorry, it was crying out), four sigmatic founder Tero Isokauppila. Tero’s first hot tip is the oyster mushroom. Oyster mushrooms are especially good in the evening as they are high vitamin b6 which supports the production of serotonin. Serotonin helps to regulate sleep and mood, making oyster mushrooms the perfect accompaniment in your dinner. On that note however, ensure your oyster mushrooms are eaten cooked and not raw, as cooking eliminates a toxic protein they contain. Ok, next we have the super shroom Chaga. Chaga has a number of health benefits including it being good for gut health, safeguarding against cancer and having a super high antioxidant count. Chaga is also a particularly good choice for athletes. One reason for this is it’s power to reduce both chronic and acute inflammation. This is down to the high betulinic acid content, which reduces inflammation across the body and especially in relation to digestion. Chaga’s positive effects on gut health is likely due to the mushroom’s extraordinary levels of superoxide dismutase (SOD), an enzyme that fights cell damage caused by oxidative stress. Another damn good reason to get chaga in you is Melanin. Melanin is a broad term for a group of natural pigments found in most organisms. In humans it’s the dark-ish pigmentation produced by tyrosine found in our eyes and skin. When taken from Chaga it serves as a natural sunscreen, helps to combat stress, regulates biological rhythms, enhances the appearance of hair, skin and eyes, and can even help protect us against cancer. Last chaga tip; make sure it’s birch tree grown to ensure maximum goodness! Our next mushroom of choice is the cordycep. These little beauties are known for their power to increase sexual and physical performance as well as producing all round general higher energy levels. In addition to having a positive effect on training athletes, Cordyceps has proved beneficial for the general population as well. This is done by increasing how much of the energy molecule ATP (Adenosine Tri-Phosphate) is created through the cellular respiration process, and even more importantly, improving how thoroughly the body uses oxygen. Lastly, the regal sounding Lion’s mane. This mushroom is a powerful aid to both brain function and central nervous system,(CNS). 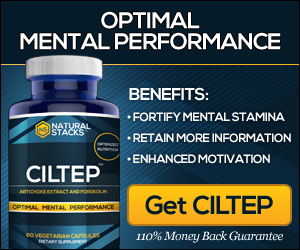 It increases focus, sharpness and general cognitive functioning. Lion’s mane also passes the brain barrier and as such, is particularly neuro protective. Lion’s mane contains large amounts of the compounds erinacines, which are especially effective at stimulating the production of NGF (nerve growth factor), a protein that’s central to the growth and health of neurons in our brains. Since the blood-brain barrier prevents NGF from entering the brain, that stimulation is essential for making sure that the brain synthesizes the protein on its own. When our brains cannot induce NGF on their own, we become more susceptible to degenerative conditions, particularly dementia, so an external source of NGF production is imperative to maintaining our cognitive health. Ok, hope there was a couple of take aways there, till next time. Welcome back to a long overdue cheap eat recipe. These are low cost, nutritious and tasty choices. Today’s recipe is a probably the best gluten and grain free bread option I’ve ever tried, so hope you enjoy! The ingredient that may stick out in this little recipe is gram flour. Gram flour, or chickpea flour or besan, is a pulse flour made from a variety of ground chickpea known as Bengal gram. It is pale yellow and powdery and has an earthy flavour best suited to savoury dishes. Gram flour contains no gluten, a high proportion of carbohydrates, higher fiber relative to other flours, and a higher proportion of protein than other flours. Right, so to crack on. This bread recipe is super quick and boasts a pretty good macro and micro nutrient ratio. You’ll find this recipe particularly sustaining due to its high protein content from the gram flour, eggs and even almond. The eggs, seeds and almonds also contain some healthy fats, vitamins and minerals. – Fill jug with 375ml of Luke warm water. Add extra virgin olive oil and the yeast. Mix with fork till dissolved and place to once side for 5 minutes. – Mix gram flour, ground almonds, all the seeds, rosemary and yeast together. Crack in the eggs and start to beat together. – Add the water and continue to beat, bringing in the mixture from the edges to ensure a smooth batter. – Place the batter in a greased or parchment paper filled bread baking tin. Place in the preheated oven for 45 minutes. – Remove bread from oven. Stick a bread knife through the middle and if it has sticky residue, left, put it back in for longer. If the knife is clean, allow bread to cool and serve with a nice grass fed butter. Welcome back to the What Supp Blog, your one stop shop for optimising body and mind. Today’s post will look at what has become a bit of a hot topic over the last few years; gut health. In light of having a mere 2 minutes to share some info, I’m going to bypass the fairly obvious recommendations of fermented foods, fibre and probiotic supplements. Well, almost bypass. Below are just a couple of tips I’ve picked up that have seemed a little off the beaten track. I’d advise anyone to read more on this fascinating subject, but here are a few nuggets to keep you going. 1. Got a sweet tooth? Well be warned, Sucralose (table sugar substitute also known under the E number E955.) kills off gut microbes. Need something to fill the void? Erythritol is a good alternative sweetener option that won’t do damage. 2. Got a gut feeling or butterflies in your stomach? The vagus nerve is a connecting line directly between our brain and gut. Much of the feel good chemical serotonin that we produce happens in the digestive tract. Therefore, to ensure more happiness, feed your microbiome with as much probiotic and prebiotic rich food as you can. 3. Do you bulletproof your coffee? For those who’ve been hiding under a rock for the last few years, this is butter and MCT oil added to your coffee. Although some may warn you off, look for MCT oil that has not had the lauric acid removed, as it supports gut health and suppresses appetite. 4. Magnesium. This often overlooked mineral isn’t just an essential electrolyte that helps sleep, but it also increases mitochondria and gut microbes. 5. Beware acid blocking drugs such as those used to manage digestion. Dr David Permutter notes research (in his excellent book Brain Maker) that these drugs have been linked with onset of Alzheimer’s disease. He suggests this is potentially resulting from them upsetting the balance of the gut microbiome. Welcome to a long overdue return to the Snack Hack series. These posts aim to bring simple and doable options that can be used to optimise your life. Today’s little bite sized morsel is the post training recovery bowl. This is has got all you need to replenish following either a hard session in the weights room, on the road or on the mats. – Half a cup of berries blue/goji/raisins. Ok, so I’m not a huge huge fan of raisins due to the vegetable oils often used to process them. However, dried fruit can be a great to replenish your glycogen stores quickly if you’re, for example, working out again later that day. Berries in general though, and especially blue berries, are well vaunted for their high antioxidant count, helping to clear some of the free radical damage caused from exercise. – 2 tbsp shredded coconut. Coconut is a source of medium chain triglycerides (MCTs) . MCTs are a fat that the body digests quickly and sends to the liver to use as an energy source. – A quarter cup of Macadamia nuts. The macadamia can be simply put as the king of nuts. They have the most favourable omega 3:6 ratio. Omega 3 is an essential for brain health and helping to reduce systemic inflammation. – 2 tbsp chia seeds. Chia seeds are also a source of Omega 3 as well as gelatinous fibre. Gelatinous fibre helps process out toxins from the body through coating them and guiding them out the body. Gelatinous fibres are also reported to help normalise blood glucose and insulin levels. – 3/4 cup kefir. Kefir is a fermented dairy product (read more here: https://whatsuppblogblog.com/2017/08/28/snack-hack-10-kefir/). Fermented foods are commonly known for their gut healing properties. They provide a source of probiotics, strains of ‘friendly’ bacteria to support everything from immune function to mental health. Kefir is also a protein source so will aid with muscle recovery. Alrighty, well there’s no great method here, just chuck it all in a bowel and give it a good stir. Hope you enjoyed the post, please give it a like, a comment and share! Till next time. Right, so this is maybe a few days late but I wanted to present a format from which you can review the year. These questions are taken from the great Ryan Munsey’s book; F**k Your Feelings, which is an absolute game changer in my opinion. Although new year is always a pretty fitting time to review and set goals, these questions can be used at anytime to make positive changes. Take some time to thoroughly and meaningfully go through the below list. Reflect and try and be as honest as you can..
– what results are you happy with? – what results are you not happy with? – what results would you like to be getting? – what changes can you make in your time to get more of the results you desire? – how are you holding yourself back? – what would you do if you new you could not fail? – what is the fear? – what ruts are you in because of preference for comfort? – how is comfort crushing my drive / motivation? – where can you seek discomfort?